April has arrived, and with it April Fools Day, Easter, April showers( May flowers and all that), the clocks have changed forward (anybody forget?) and with it all comes a promise of lighter nights, more pleasant weather (we hope) and a chance to enjoy more time outdoors. Whatever the weather, season, time of year, the Community Lottery will be willing and able to sign YOU up for one of our numbers. If you’ve not joined yet (why ever not???) you have just missed the Bonus Month (March draw), but you could be in the next one! Thank you to the Jambusters WI for letting us present a case for the lottery, and the sugar roses produced the same night were very beautiful. As ever we will be really pleased to welcome you into this worthwhile scheme. A huge thank you to everyone who supported last year's production of Peter Pan. We had a great year for fundraising and were able to donate £2000 to Umbrellas Lincoln who are raising funds to build a play and meeting place for children, young adults and families with additional needs. The cheque was presented by Phil Gabbitas, chairman, on behalf of the panto group to Umbrellas Lincoln at one of their recent events. In addition to the donation to Umbrellas, we also made a smaller donation of £250 to Welton Village Hall towards improvement projects. Over the 34 pantomimes we have put on, we have donated over £28,000! We are hoping to break the £30,000 barrier with our 35th performance this year! Did you realise there is a stunning reconstruction of a saxon craftsman's home just a few miles from the library? February gives you the chance to find out more, Steve and Jude who are the creators of the Saxonhouse which is in East Firsby have been invited along for our latest Community Hub event. Their talk will cover why, when and how the house was built along with details of the lives of Saxons in 7th century Lincolnshire. Please come along and hear more on Tuesday 26th February at 2:00pm. Free admission, all welcome. Just a reminder for those of you who also use facebook we do have a page where you can also keep to to date including details of new books that the library service buys each month. Just search for Welton Library & Community Hub and 'like' us. Dunholme Old School has seen quite a few changes over the last couple of years and hopefully more in the future, The kitchen is completed now and users have plenty of room to prepare their food etc., the ladies toilets are much more modern with the inclusion of cubicles. A lick of paint in some areas has brightened the building up which I must say is ongoing, the main hall will be the next one to have a facelift and then we can get the old images of the village up again, strange actually because I took the canvas prints down whilst we were having the kitchen built and the doorway put in to accommodate access to the toilets without walking through the kitchen area (local users will know what I mean by the last sentence) and now we have a number of people asking when the canvasses will be going back up? The reason as mentioned earlier is that we will be decorating in the main hall over the next month or so. You can book the Old School by contacting Janice our booking secretary 01673 861172. Bookings being taken NOW for Kids parties, birthday parties, Christmas parties (we have a family who regularly books the Old School for Christmas day) so whatever your requirements get in touch with Janice. Thanks to Roger & family I was delighted to attend a cheque presentation and receive an incredible donation of £1737 from Roger Brown from our local community. Roger, who is also a St Barnabas volunteer, ran a Golf Sale at Welton Golf Club; in memory of his daughter, who received support from St Barnabas Hospice. Roger along with family and friends worked incredibly hard to organise the day and we would like to thank everyone involved for such amazing fundraising efforts in support of their local Hospice - you are all truly inspirational. The Inflatable Colour Dash is bigger, louder and more colourful than ever before! The popular 5k fun-run will return on Saturday 11th May at the Lincolnshire Showground to splatter you from head to toe in vibrant coloured paint. Bigger and better inflatables will also return with a few additional surprises along the way making it the best Colour Dash yet. You can also enjoy a full day of action packed fun in our Colour Village, with Live DJ’s, exciting activities and delicious street food and drink for the whole family! Our next bereavement drop in support service at Lincoln City Football Club (Sincil Bank, Lincoln, LN5 8LD) will take place on Monday 4th March from 6pm – 8pm. You don’t have to have used our services to attend; this is open to all. On 25 October 2018, the Old School Trustees were delighted to welcome and entertain a mixture of dignitaries and Old School users to the premises, to mark the official re-opening of certain areas of the building following extensive renovation work It was an ideal opportunity to express gratitude to the various bodies which have provided funding towards the renovation and extension work – West Lindsey District Council, the National Lottery and iGas Energy - and to showcase what has been achieved to date with the money raised. West Lindsey’s Chairman Cllr Pat Mewis and Vice-Chairman, Steve England, along with other WL councilors, were in attendance, as was Julian Tedder, CFO of iGas Energy and Gail Jackson (CEO of Community Lincs). After a presentation from the Dunholme Trust Chairman, John Ritchie and the Treasurer ,Grahame Dunkin the representatives were invited to cut ribbons marking the official re-opening of the kitchen, committee room and toilet block areas. Grahame had previously been nominated for, and awarded, the 2018 Community Lincs John Barker Trophy Award (Community Buildings) and this was presented to him during the course of the Open Day event by Jenny Stone from Community Lincs. Cllr Pat Mewis, Chairman of WLDC, cuts the ribbon on the extended and refurbished kitchen. Umbrellas Lincoln. Never heard of us? That's probably because we're a relatively new organisation and we've only had charity status since March 2018. Umbrellas Lincoln was initially set up in 2014 by Charlotte, our chair. We have 7 trustees, the majority of whom have children with addition needs. These vary greatly from autism and ADHD, to severe brain damage and physical disabilities, which means that between us we have a wealth of experience, both as parents of children with additional needs, but also in dealing with services and organisations to achieve the best for our children. The main aim of Umbrellas is to raise funds to build a play and meeting place for children, young adults and families with additional needs. This aim is two fold, not only does it provide a place to meet and play, it provides a support network for parents carers and families, allows children and young adults to be around others and build social skills and allows siblings to form support networks as many are often young carers. We believe that a place where families can spend time together and have fun, as a family without judgement, is essential. At varying locations, until we have somewhere to call our own, we are currently running events such as inclusive play so that parents and children are able to meet and have fun. These locations vary from 'Windmill Farm' to Birchwood climbing centre as we aim to meet the requirements of a wide variety of needs. We are also looking at other venues to ensure that they are stimulating and meeting the needs of all. There are many ways we fundraise and we have lots of events planned throughout the year. These include wine tasting, an evening with Dan Hadfield, a pamper night, race night, many coffee mornings at Thorpe on the Hill Community Centre and The Old School in Dunholme and many, many, other exciting opportunities. If you'd like to see more about what we do, follow us on Facebook - Umbrellas Lincoln or if you can help is in any way, by volunteering or donating items for events, cakes for coffee mornings etc, please get in touch. We are always grateful of help in any form and we'd like to thank everyone who has supported Umbrellas in any way so far in our journey. We hope that you may be able to join us at one of our events in the future and support Umbrellas. An Information Event was held in the Welton Manor Golf Centre (The Falconer), Hackthorn Road, 0n Thursday 15th June 2017 from 1:00pm to 7:00pm. Those that attended were able to meet with the design team behind plans to enhance safety and reduce congestion at the A46 / Lincoln Road (Welton Lane) junction. The improvement scheme aims to improve safety and reduce congestion at the current A46 / Lincoln Road T-junction by constructing a new three-armed roundabout and realigning the existing roads on the approaches. 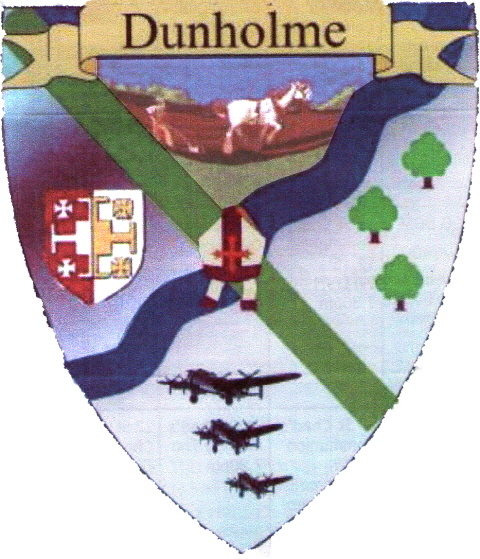 It was unfortunate that the notification for this consultation was not received until 22nd May which was too late to get into the June edition of the Dunholme News and consequently few people knew about it. However if you wish to have more information, visit www.lincolnshire.gov.uk/roadworks. Customer Service Centre 01522 782070 . Direct Line 01522 555586. The existing road from Welton will be realigned further to the west but leaving the existing road just as an access to the Centurion Garage. The last bend on Welton Lane will be removed by the realignment which will also involve removal of the trees in the little copse on the west side. The whole area will be landscaped with new trees planted and it appears there may now be a path/cycle track along this new stretch of road. I was informed that the proposed roundabout at the junction of Lincoln Road (Dunholme) and the A46 will not happen. But the crest of the hill just past the Centurion Garage will be reduced by 2 Metres. The highways department has carried out computer modelling and the new layout and it is considered to be sufficient for all traffic needs up to at least 2035. Plans for a new roundabout at the junction of Lincoln Road and the A46 in Dunholme have been approved by the Planning and Regulation Committee, bringing the project one step closer to fruition. The new roundabout, along with the improvement of visibility on the A46 to the east, will improve safety and reduce congestion at the current simple T-junction. The improvement will also accommodate future development in the area. The A46 Dunholme, Welton Roundabout project will be part-funded using the £2m allocated to the authority by the Department of Transport (DfT) from tranche 2 of its National Productivity Investment Fund. The remaining funding for the construction of the scheme, including third party contributions, is currently being reviewed by the county council. For up-to-date information about this and other major highways projects, visit www.lincolnshire.gov.uk/majorprojects.